The word organization derived from the Greek work “organon” is a set up where people join hands to earn a living for themselves as well as earn profits for the company. An organization consists of individuals with different specializations, educational qualifications and work experiences all working towards a common goal. Here the people are termed as employees. Organizations is that they are a group of people that have a common goal. This can be used in many different contexts, such as a social, religious, or academic group. However, it is most frequently used when speaking of different Types Of Business and governmental groups. The employees are the major assets of an organization and contribute effectively in its successful functioning. 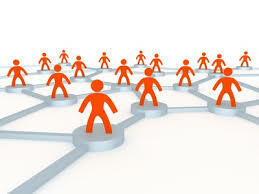 It is essential for the employees to be loyal towards their organization and strive hard in furthering its brand image. An organization can’t survive if the employees are not at all serious about it and treat their work as a burden. The employees must enjoy whatever they do for them to deliver their level best. The essential job function of each of the members of the Organizations is to contribute to this purpose. The Organizations that are governments do not have the primary function of making a profit, although they are in place to ensure the growth and well being of the citizens that are being governed.